Brendan Behan was born Brendan Francis Aidan Behan at Holles Street Hospital, Dublin in 1923. His family was staunchly republican. At the age of 13 Behan left school to work as painter with his father. By then he was drinking alcohol which led to him being an alcoholic all his life. 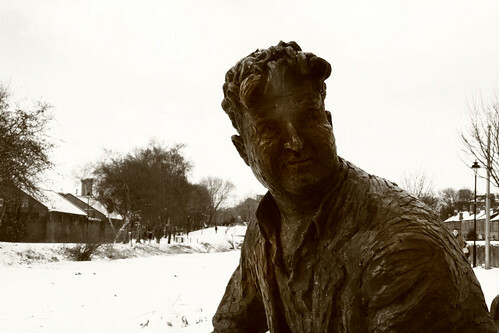 Brendan Behan, author of poems, short stories, novels and plays, was born in Dublin in the year 1923 On This Day.